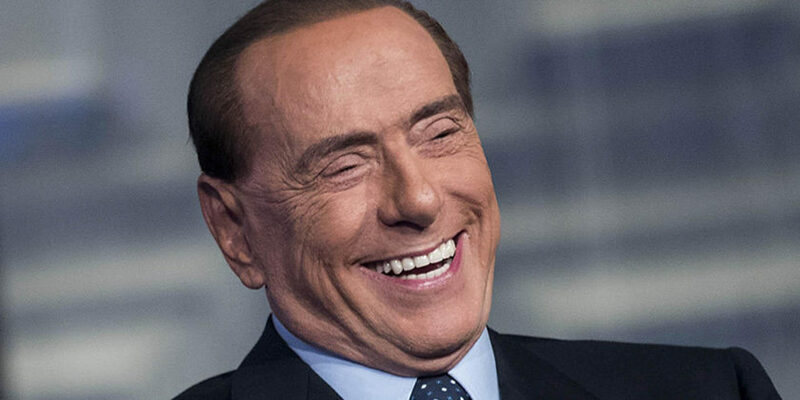 “He’s back” is the title of many international media declaring their surprise to see 81-year-old Silvio Berlusconi as the kingmaker of this Italian electoral campaign. Despite his age, Berlusconi, also known as “Il Cavaliere“, has ran a television marathon in the last months, appearing almost everyday on Italian TV, from national channels to small local radio programs. “I am the the safest decision Italian can make,” he said in one of his many TV interviews. 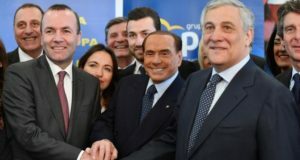 European establishment also agrees with the former Italian Premier, since Europe’s biggest political force the European People’s Party, main centre right party at the EU level with whom he hasn’t always had a serene relationship, decided to endorse him both with its President Daul and with the leader of the party in the European Parliament Manfred Weber, the longa-manus of German Chancellor Angela Merkel. The rehabilitation of Berlusconi at the European level should be attributed to the work behind the scenes of the President of the European Parliament Antonio Tajani, who is said to be named by Berlusconi as future PM of Italy thanks to his attitude of a moderate negotiator. With the anti-establishment 5 Star Movement set to win the election but also unable to reach the majority needed to form a government, Berlusconi now reveals himself as the real kingmaker of this electoral campaign. He is leading a coalition with his party Forza Italia and two other right wing parties Lega North and Brothers of Italy that all together (with a smaller centrist party “Noi per l’Italia” led by Italian MEP Raffaele Fitto) could reach the 40% and therefore govern the country. The agreement among the centre right parties says that the party which will take the more votes, will select the Prime Minister before being formally nominated by the President of the Republic. If Forza Italia gains the internal competition, the most likely scenario, it will not be able to nominate Berlusconi since he is ineligible due to his infamous legal problems. Berlusconi has hinted more than once that current President of the European Parliament Antonio Tajani could perfectly fit for the position. Otherwise if Lega overtakes Forza Italia, Matteo Salvini could be the name taken forward as Italian PM. But what happens if the centre right coalition doesn’t reach the majority needed to govern Italy? Berlusconi again! Forza Italia could form a sort of “Grosse Coalition” with centre left Matteo Renzi‘s Partito Democratico. This option has been dismissed by both politicians but during an electoral campaign not every word can be taken as a sealed pact. In this case Berlusconi and Renzi should agree on a Prime Minister: here again the name of Tajani is back on track as well as the current PM Paolo Gentiloni, both insurances for the European institution. “Berlusconi has 12 or 13 lives, he’s like a cat,” said former premier Matteo Renzi. He was right. The election is being watched from all sides and the dealer giving cards to the players is him. Four times President of the Council of Italy, former president of the A.C. Milan football club, one of the most winning team in the history of football, entrepreneur, Berlusconi was able to reinvent himself after many legal and sexual scandals and regained the trust of Italians. At 81.